In the study of film – really, in the study of anything – there is content and there is process. Content is what is said. Process is what it means. So what are America’s most popular movies really about? After the bar had been set so high by Frozen (highest-grossing animated movie of all time at $1.27 billion), it would take something dynamic for Moana to follow in its footsteps. Frozen tapped into the dynamic elements of polar-opposite sisters, an introvert and an extrovert, social isolation (for both of them), and the way it affected them each: impulsivity and naivete in Anna, and fear, shame and social anxiety in Elsa. Throw in a two-faced sociopath boyfriend (to warn girls not to rush into relationships), and the message that true love can come from family and not just relationships, and Disney had created something truly unique. They had changed their timeless formula just enough to let something else grow. But let’s see if we can dig a little deeper into the messages of Disney’s newest hit, Moana. The story starts, not with a little girl, but at the beginning of time. The creation myth of the Polynesian islands says a lot about the whole movie’s worldview. “In the beginning,” there is only ocean. Not darkness and void, like the Biblical worldview, nor the villainous oceans of chaos found in Egyptian lore, but endless sea. The sea is the most romanticized, and the most culturally essential part of the story – and in the beginning, it was there. Then from the sea springs Te Fiti, goddess of life. She is clothed in endless green, a classical goddess of fertility and nature, and she becomes the first island. Now rather than offering another take on whether this is progressive or heresy, I will just say this story decision was made thousands of years before Christ or Disney. Now, the biggest change from most myths of creation is the Fall of Man. There’s often a covenant that is broken, an act that separates Gods and men. Maui, the warrior and trickster demigod, goes seeking the Heart of Te Fiti. It is said to give its bearer “the power of creation.” This makes him a bit of a Lucifer, wanting to be like God for his own selfish ends. Yet it also makes him like Adam. In trying to become “like God,” and taking from God what it forbidden, he destroys Man’s place in Eden. The moment he touches it, the island begins to decay into ash, ruining the effortless Garden the humans could have lived in if they had respected God. In a moment that almost never happens in any theology, Man has wounded God. As Maui escapes with the treasure, the great volcano spirit Te Ka rises up, reaches for it and strikes him down, and the narrator says that Maui has not been seen since. Then the story rolls back, and Moana’s grandmother is telling the creation story to her and her friends. She hears all the talk of the unleashed monsters and the spreading decay that will consume the world, but gawks in excitement and awe. Her grandmother’s only reassurance at the end is that one day, someone will find the Heart of Te Fiti, find Maui and return Te Fiti’s heart, in a way healing the covenant with God and restoring Eden. This was never an option for Man in Christianity. Man could be saved through grace, following God’s ways and knowing Him spirit, but Eden would be restored by God after the end of the world, not by Man while the world was preserved. Reconciliation was never this tangible. What’s more, the original sinner had to do it – Adam / Lucifer had to return the Apple to Eden. Now, Moana’s father detests the legend. He tries to silence it as it’s being told. Its darkness disturbs him, its grim pronunciation about human nature and the state of the world. This idyllic, thriving island of Motonui is so peaceful, and nothing like the world of the myths. And yet, he still insists that his people should never sail beyond the reefs, and his daughter, he won’t even let her touch the sea. Why be against legends of a dangerous outside world and then fear a dangerous outside world? His reason is secular and personal – as a boy he loved the sea, but one night, he and his friend went out sailing and his friend was lost in a storm. An atheist draws the same conclusions as a mystic – that either there is no God, or He is not good to us. The story ends up centering around Moana’s lifelong attraction to the sea. But right after the legend is told, little Moana wanders off to the ocean, and the shore comes alive. The tide bends to give her a shell, reaches up and plays with her hair. Like so many cultures have done less literally before, the ocean becomes a character. And for a moment, it holds up the Heart of Te Fiti, the little emerald stone, promisingly. Then her father comes to pull her away from the sea and the sea hides from him, turning back into waves on the shore. Like both religion and fairy tales, magic and the divine only happen to those who believe – and often only for the young. As she grows up, she does what every Disney princess is meant to do – run away from home and her family to go on an adventure. Like Belle and Ariel before her, she dreams of adventuring beyond her homeland (with her father being a regular King Triton about it). Her grandmother nurtures this idea – not only because she could fulfill the prophecy and save the world (the black, ashen decay has just started to infect the fruit of the island), but because she has seen Moana’s love of the sea, and tells her that if something is put on your heart, that is what you are meant to do. Now that is debatable. Not everyone has good intentions on their heart, after all. But if God is the one who puts it there (though God is not the name used for it), then it is supposed to happen. The ocean becomes a symbol of freedom, and she has been drawn to it all her life. If the ocean weren’t literally alive, this could be a straightforward, literal symbol. But as time goes on, the ocean becomes more physically active in her life. The ocean returns the Heart of Te Fiti to her. Under the commotion of her grandmother’s passing, she leaves on her journey, battling the harsh waves beyond the reef. She has never sailed in her life, and statistically, would probably have died. But time and time again, the Ocean reaches up and throws her back on the boat. She has the help of more of these divine interventions than any prophet or mythical hero in history. It almost becomes like a video game – the game knows where you’re supposed to go, and if you go anywhere else, it shoves you back to where you’re supposed to be. It won’t force her or fight her, but as long as she’s going with the plan, it helps keep her safe…. not completely out of harm’s way, but safe enough to survive. When she finds Maui, powerless and stranded on an island for 1000 years, the old trickster god is revealed – at least, his first layer is. There is always another layer to Maui. At first, he thinks she must be a fan, because he is the most popular hero in Polynesian legend. He literally shaped the universe as much as God – fish-hooking up the islands out of the sea, inventing the coconut tree, bringing the mortals fire – and expects an eternal gratitude from every human indefinitely. Like most mythology’s gods – the Greeks, the Norse, the Mayans – the creator of the universe would like to live like a king. At least he isn’t a tyrant and doesn’t demand sacrifice, or even prayer, as he says in his song. He’s content to live as a glorified human. Somewhere between a god and a man, he settles for the title of “demigod.” Since his powers depend on his missing enchanted fish-hook, his only gift is his immortality, but he hasn’t proven his worth much since. Another thing distinguishes him from most myths – most people who made the world turn are still making it turn forever. Apollo still rides the sun across the sky, Hades still runs the underworld, etc. Maui is just a Deist – he made the world, but isn’t shaping it anymore. This god is retired. But Moana will not put up with him. After one song of being overcome by his charisma, he steals her boat, and the sparkles fall from her eyes and never come back. She chases him down and tackles him and commands him to return the Te Fiti’s heart. That’s when Maui’s next layer is reached: defensiveness. Since he stole the forbidden gift from God, it’s brought him (and the world) nothing but chaos. Now that Moana has it, he’s afraid to even be near it. He takes the attention off of this being his fault, and he focuses it on this being God’s fault. A pastor could have a field day with describing that kind of denial. It’s easier to blame someone else – easier to blame the life problems and broken relationships than to admit how you caused them, and easier to blame the one who you hurt for their anger rather than reconcile. Then she remembers Maui’s old weakness – his pride. He was a hero, and she reminds him that, in spite of his ego’s great wall of denial, he’s no one’s hero anymore. In fact, he’s the villain. This bring him to a halt. If he’d had to sit with this for long he might’ve pushed back with denial or cracked. But she flips it around by saying, if he returns the Heart, he could be the hero again, cheering crowds and all. If you’re cynical you’d say she played his ego; if you’re sentimental, she gave him a chance at redemption. For whichever reason, he accepts – and them promptly throws her into the water to get rid of her and ditch the plan. The ocean tosses her back on board, and he shrugs, and accepts her plan, hopefully without any more betrayals. A note on Hei Hei the Chicken – he is not noteworthy. Don’t try to read into him for a hidden message. He has literally nothing to contribute. Now here come their first fantasy fights on their adventure. The coconut gremlins it’s hard to read into. Maybe they’re a perversion of something good, the coconut, the treat Maui created which sustains the islanders for food and fibers. Maybe they’re just fun, disposable bad guys. The second one goes a lot deeper. They dive into the Realm of Monsters, something of an underworld deep under the water, so deep that it turns into air and land again. In is center is a cave with a pile of gold in the middle, and crowning the top is Maui’s long-long weapon and source of his powers – the sword-like three-foot fish hook. Maui was proud even without it and his powers, but with it again, the audience is left to speculate how that would go to his head again. Expecting a trap, however, the warrior sends Moana in first as bait – and sneaks around the other side. That is where the film’s purest villain makes his debut: Tamatoa. The thirty-foot crab has adorned himself with riches, until the gold coins and treasures became a part of his shell. He identifies so much with his wealth that he *is* his wealth. The creature scoops up Moana, but Maui has told her the crab’s weakness – getting him to talk about himself. That was Maui’s weakness too, something she pointed out to him before. When she asks to hear this great, legendary creature’s story (to stall him), he gladly obliges her. He reveals himself to be a powerful symbol of ego and greed. He knows he can be happy, he says, because he’s beautiful. His emotional hunger turns physical when he lures a school of fish into his mouth with his shine. He calls them stupid for being drawn to his wealth – which he himself was obsessed with – but because he’s the bigger (shell)fish, he swallows them whole. The metaphor here could be a con artist, but it could also be a wealthy man, or a cruel business – making promises to the penniless poor and then taking everything they have. Tamatoa’s mingled imagery of beauty, emotion and power show just how symbolic this battle is. With his dominating ego and the armor of apathy, he doesn’t have the weaknesses of Maui’s aching heart. He may love talking about himself, but he’s too tough to chase love from anyone. He aspires to have no needs that would leave him vulnerable. Tamatoa does not care, and therefore cannot be hurt. It’s what’s outside that matters, not what’s inside – he’ll pick apart anyone’s heart but make no mention of his own. And yet, when Moana offers the Heart of Te Fiti and throws a fake one away as a diversion, Tamatoa chases it ravenously, shouting about “the power of Creation.” Even the most proud, calloused, heartless creature wants the heart of God – but it’s a perverted, possessive kind of love. As Moana and Maui flee the cave, Tamatoa spots the stone as a fake, and catches up in seconds. It’s only by stumbling into a geyser that the duo escapes from the underworld. Once again, water is always looking out for Moana. Back on the surface, the adventure comes to a sober standstill. Maui’s confidence is shattered. When she had first met him, he felt indomitable. Now the greatest man in Creation – even reunited with his weapon and its powers – feels powerless. In a way, this is quickly addressed with Moana’s insistent motivational speech, not so much saying that he can but that he *has* to be strong again to save her island and the world. She is very direct for a Disney princess. When she is assertive and even angry, it’s shown not as a sign of immaturity, but as empowering. She uses it to drive herself in spite of her insecurities, or to push Maui in the right direction. It’s only later, after a Maui re-training montage, that Moana asks about what Tamatoa said in the cave – about being abandoned. As it turns out, he was an unwanted child. As a baby his parents threw him into the sea. The modern world has adoption and abortion, and the survivors of both carry this stigma heavily. Somehow being born human has always made gods seem more relatable and vulnerable, starting with Christ. But the Ocean carried him away (i.e. he was saved by an act of God), adopted by the gods, and granted him his powers. 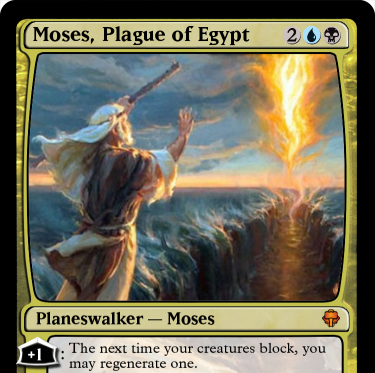 Like Moses cast in the river, he was saved by the water (God), adopted by gods (the Pharaoh in Moses’ case), and yet went back to help his people who left him for dead. Maui doesn’t voice all of it, but Tamatoa revealed a very different Maui – “chasing the love of these humans, who make [him] feel wanted.” Instead of a powerful, confident pioneer, shaping the early Earth, we see a man haunted by his abandonment, desperate for approval. The psychologist Alfred Adler was right – often a superiority complex is there to cover up an inferiority complex. The roaring crowds he once had, who until recently serenaded him in his head (and his tattoos), were what he felt like he needed, to compensate for something. He’d gained the whole world but still thirsted for something more. It’s no wonder he stole the Heart of God – to fill his own. Grateful for helping him process a millennium of feelings, Maui teaches her sailing and navigation. Now that his facades are gone, he finds a way to take her under his wing. He has a lot of experience to share with the next generation. It’s the beginning of him rediscovering his place in the world. The next test comes when they see Eden on the horizon. The island of Te Fiti is just glimpsed briefly, over the wall of barrier islands that surround it. There lies the proverbial angel with a flaming sword, guarding the garden – Te Ka, the titan of smoke and lava that defeated Maui so many years ago. Only Moana was able to talk Maui up to this – to risk losing everything again, and to trust that returning the Heart would be worth that risk. As Maui approach Te Ka, its burning pits of eyes and long gaping mouth stretch wide with anger. Gone are the grins and narrowed eyes, the malicious glee and evil laughs of past Disney villains, though they almost always come with clouds of smoke. The legend said that Te Ka wanted the Heart for itself. But the look in its face is not greed, like Tamatoa’s, but fury. Te Ka flings fireballs, lava bleeding from its thin fingertips. Maui lops off its hand, leaving it in shock with pain, but the hand only grows back. It strikes at the water, and its hand sizzles and crusts over, again stinging the beast – for it cannot bear to touch the water of God. And yet, in a single hit, Te Ka smites Maui’s hook and sends him a kilometer back across the sea. His hook is cracked, and cleft nearly in two. His confidence is fallen again, and Moana can do nothing to stop it. She says what she always has – that the Ocean chose her, and that they has to deliver the Heart. Maui’s words strike her theology: if the Ocean’s so great, why didn’t It deliver the Heart itself? If the Ocean chose her, it must have chosen wrong. He shapeshifts into a hawk and flies away, leaving her to face the thought of going back alone. Moana is heartbroken. The man on her journey may not have been a love interest (a rare exception for Disney), but he was Maui, full of potential, and without him in the story, she felt once again very small. She finds herself in the position of many prophets: feeling unworthy. She feels not strong enough or wise enough, the task seems to big, and the obstacles too powerful. She speaks to the Ocean about this. In a lighter film, this would have been the moment her confidence came back, and she sailed off to her destiny in song. Not this time. She asks the Ocean to take back the stone, and let someone else save her people. The ocean reaches out, and pulls it to the bottom of the ocean. It is a moment of unbearable darkness for the film. It is only fitting that someone come along to brighten it. She is visited by her grandmother’s spirit, who seems as warm as ever in death. She reassures Moana, not so much about the Ocean’s choice of her, but about her identity. Where most Disney films focus on the self as the identity, doing things in spite of the world’s ways, her grandmother’s song is thick with ties back with her family, her island and her culture. She also pulls up a thread in the story about the voice inside her. It could be her conscience, her intuition, her authentic self, Christ in her heart (though this story was probably B.C. ), or the voice of God. She calls it “the quiet voice still inside you;” the Old Testament called God’s the “still, small voice.” Whatever the origin, it has called her to the sea all her life, and that led her to want to return the Heart in the first place. That was only possible with the help of the Ocean, and her grandmother’s guidance as a faith leader, village elder and family member. These three forces made the story possible: The Ocean, the Voice, and her Grandmother. Te Fiti herself, however, is silent. She still creates and sustains all life in the world, but never says a word. What can be said about this almost-Trinity? The comparisons to the Holy Trinity are present, but not perfect. It is unclear whether any of the writers intended it to be a clear symbol. Even Aslan compared to Jesus would not make a perfect comparison. But let us attempt it. Her grandmother may not be a higher power, but she is a spiritual guide. The Voice, with its internal guidance, could represent Christ. The Ocean, manifesting as the tangible will of God in the physical world, could be the Holy Spirit. Te Fiti may be God the Father mostly as seen in the Old Testament – author of Creation, but not personally accessible to each person, singling out a few prophets instead. No hierarchy in Moana’s Trinity is ever established – the Voice and the Ocean both want to restore Te Fiti’s Heart, so it can at least be said that they agree. The Ocean just has the most physical power. With her grandmother’s assurance, she dives down to the bottom of the ocean, picks up the Heart of Te Fiti, and sets sail for her island again. She does not fight Te Ka to get there; she steers tight to avoid it instead. She makes it past the barrier islands, but is still in Te Ka’s reach when it swings at her boat – and is stopped by Maui. He spars with the monster to keep it at bay, fighting a losing battle. He does it knowing that his hook, the source the powers that made most of his legendary triumphs possible, could be destroyed in the process. And just as Moana reaches the center island, he defends her one last time – and his hook is destroyed. The film doesn’t lighten the importance of a willing sacrifice the way gentler films would, by showing they were ready to lose but sparing them the loss. Yet Maui, sobered though he is, wears a strange smile on his face. This could be his last legend, but even though he lost, he did it for someone else. In a way all his miracles were for someone else – making the world better for people – but in another, they were also to win people’s approval. Now, this was a final selfless act. But as Moana steps foot on the island, she finds it is much smaller than she expected. She rushes to the top of it, looks down over the edge… and finds only a crater beneath the water, shaped like an island-sized woman’s body. Te Fiti was gone. If this moment had been drawn out, it would have been a literal moment of “there is no God,” a crisis of faith. The notion of “God is dead,” though theologically unsound (for nothing is strong enough), haunts people. It would mean that the world is broken, gone from good to bad, and there is no one big enough left to fix it. It is a metaphor for the crash an optimist feels when they turn pessimist. When the bad suddenly seems to outweigh the good, and it seems naive to believe in a benevolent God in the face of such damning evidence. Suddenly the belief in a cosmic parent can feel childish, and it can feel more adult to say they have moved on from that belief. Then she turns around and sees Te Ka. She looks at the spiral on the Heart of Te Fiti. She remembers the spiral on the drawings of Te Fiti herself she grew up with. Te Ka has that same spiral on its chest. That’s when, without a word, it sinks in. Te Fiti Is Te Ka. Steal the Heart of God, break the covenant between God and Man, and God will treat humanity and Earth differently forever. With sin comes the wrath – here, literal fire and brimstone. From Eden to the Flood, when Man breaks with God, God too breaks with Man. Here, the rift is deeper than the Abrahamic faiths have ever gone – God is broken, literally heartless, consumed by anger at the loss, and reduced to a shell of Her former glory. While the Greeks and the Norse gods killed their Creator Gods, this role of a wounded Creator is unique. The question from earlier about Ocean’s relationship with Te Fiti is answered here: the sea parts, Biblically, between Moana and Te Ka, inviting them to meet. When Te Fiti is too hurt to know what’s best for Her, the Ocean does what’s best for her; the Ocean is the Higher Power here after all. Moana realizes now that restoring the Heart may mean facing a Heartless God. In the face of a monster that just crippled a demigod, she has nothing but compassion for a crippled God. She sees past the anger and sees where it really comes from – pain. She holds out the Heart. Te Ka comes not walking, but crawling, across the parted sea floor, charging across the sands, its burning eyes able to be read as ravenous or as desperate. As she reaches Moana, she seems ready to consume her in a molten wave, to consume her for all that Man has done wrong to Her… but instead she rests her head against Moana’s. A relationship like this between a human and God is unparalleled. With Te Fiti’s heart restored, her calloused lava rock crumbles away, and the vivid green of her lichen skin flourishes back. The outside – bright, hard, dangerous and in conflict with the world – falls away so what’s inside could come out. Tamatoa was obsessed with his outside too, with some of the same traits, except his emotions were suppressed and internalized – not caring about others. He even strived to be heartless, and mocked Moana for listening to hers, or for caring about her voice on the inside. Te Ka’s bled out in anger, lashing at anyone who tried to get close to her. Yet on the inside, Tamatoa would not have looked better without his shell. The world resolves itself from there how anyone would expect. With God’s power restored, the black decay of the islands is replaced by luscious blooms, and even Maui’s broken hook is restored. Te Fiti does all this without saying a word, though she rests her head against Moana’s again, affectionately. This God is not a king who rules from afar, not formal or cerebral; God is tender, intimate, and personal. Maui has two endings here. At first, Moana invites him back to her village, to be renowned as a hero again. He turns it down, however, to stay on the island of Te Fiti with God. And so Adam returns to Eden, which, with his symbolic death with the destruction of his hook, could symbolize Heaven, an afterlife rewarding him for his efforts. Yet in the final scene of the movie, he appears for a cameo with the rest of her village. He must have changed his mind about life on Te Fiti. With the restoration of his hook, the symbol of his potency and divinity, perhaps this symbolized a second chance at life – taken further, sacrificing his life for others in the service of God showed he was worthy of a return from the dead. He may not have talked or lived like Christ, but his end does mirror Jesus’ end in that way at least. The last scenes of the movie fade into the nonverbal for several minutes, showing instead of telling what happens for “ever after.” Her family sees her setting an example by setting out to sea, as their ancestors did, and they follow suit. Her ancestors had once sailed across the seas, island to island, but once they got settled, her father’s generation had hidden away the boats behind the waterfall. Now he brings them out again until their entire village fit upon them. Why leave their idyllic village if the black plague is gone? The reasons may not be literal, but – you guessed it – symbolic. Moana was chosen as the Ocean’s prophet. Her father had disbanded the faith, for the entire island, because he had loved the Ocean but the Ocean took someone he loved. Moana’s voyage was a literal act of faith, trusting it even when no one she knew had been out upon it in her lifetime. Faith in the sea had waned for their whole people, and it took the Ocean and a follower to bring about a revival. What symbolized trust in the Ocean more than leaving the land and living on it? Replace the words “the Ocean” with “God,” and the parallel is unmistakable. After all, who calmed the storm and walked on it? The content in Moana is inspiring enough on its own – it is moving, witty, and beautiful. The process goes far deeper.